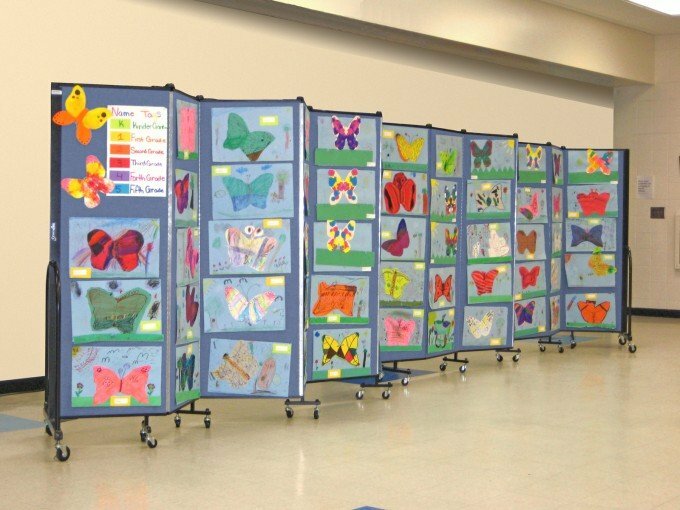 Why Divide Space With Portable Folding Screens? How do you create another room, divide space, or create the perfect display area in your existing facility in a matter of seconds? It’s as easy as 1…2….3….with Screenflex Room Dividers. These Portable room dividers set up in seconds and store in a small area around 2′ x 3′. Whether you need an extra classroom today or display wall tomorrow it’s all possible with these portable partitions. Take a look at these photos of room dividers in facilities like yours to see why Screenflex is the solution to all your room dividing needs and as your needs change in the future. 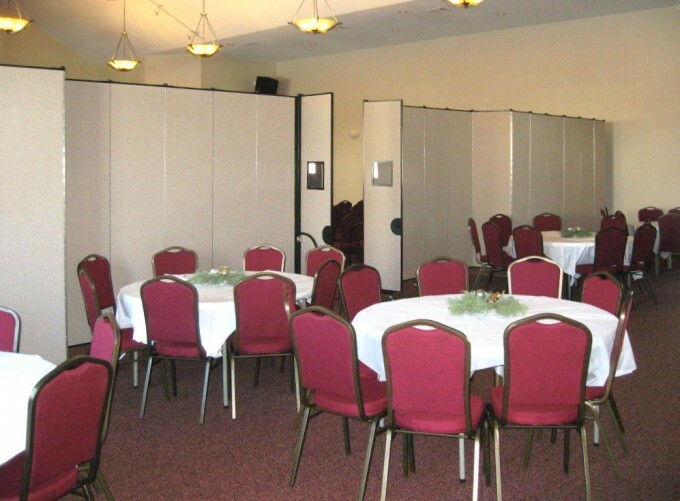 Whether your facility is a daycare center, growing church, and overcrowded school, and businesses are using portable room dividers to create temporary and portable rooms for their facilities. 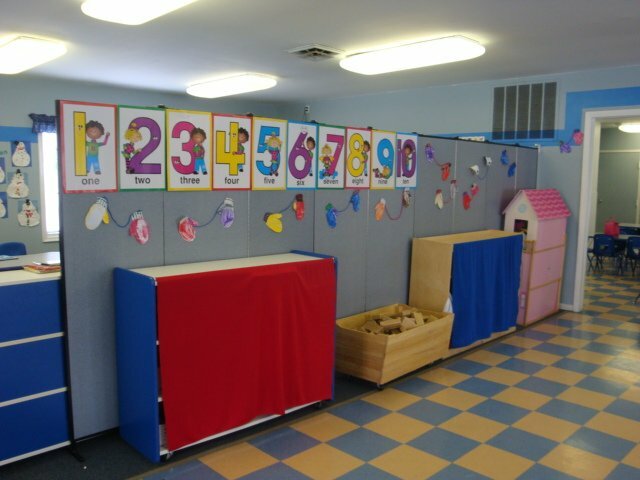 Portable Room Dividers make a perfect play area in this Daycare Facility and the teachers pinned up colorful bulletin board displays on the panels. 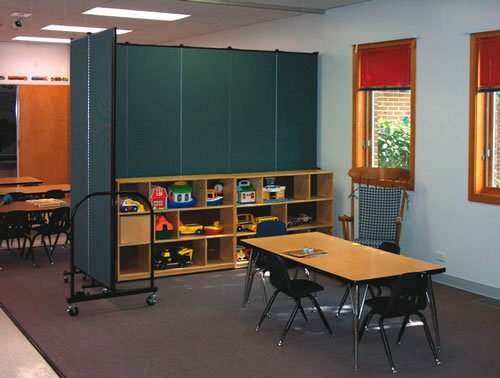 Create two classrooms with just one divider. Room dividers help to cut distractions and sound. The Perfect Portable Display Wall….easy to set up and take down. Use thumb tacks, staples and even Velcro on the Panels. With one divider, two teachers can share a classroom while teaching two separate subjects. 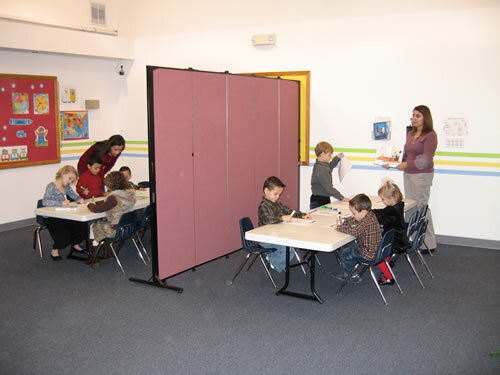 Room dividers act as a sound and sight barrier while teachers instruct kids with different math and reading levels. 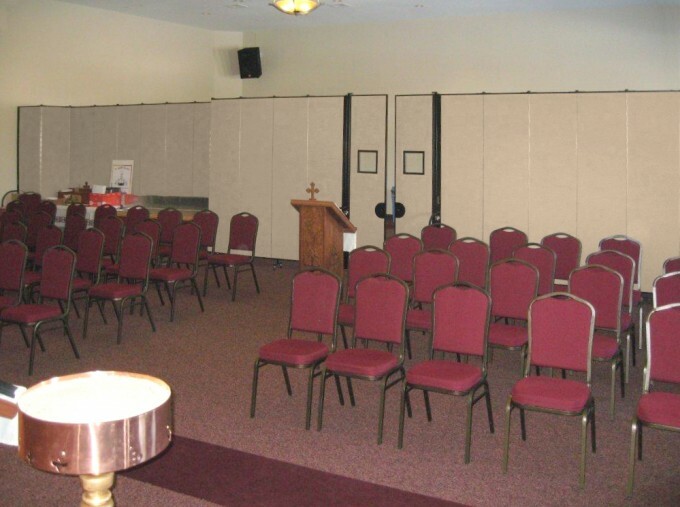 This Church now has a reception area and worship area in one large room divided with Screenflex Portable Room Dividers. Creating a Portable Wall has never been easier than 1…2….3!